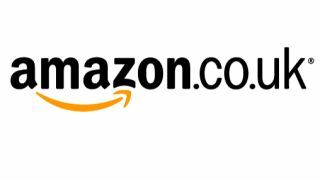 Amazon is trialling a new delivery system that will see it drop your bits and pieces off at your local newsagent. Books and clothes will be the first items to be delivered under the scheme, but there are plans to extend it to other items too. Not that you're forever staying in to wait for that all important book delivery, but at least when your oversized tomes arrive you won't have to make a trip to the post office before 2pm on a Saturday with two different forms of ID and a sacrificial chicken in order to get them. Around 5,000 shops around the UK are taking part in the trial – presumably if/when Amazon rolls it out properly, more will get involved. Over in the US, Amazon has begun delivering to lockers in malls but in the UK the cornershop approach actually seems much more convenient. But it is a bit of a funny one – Amazon sells all kinds of stuff that a newsagent would sell (TechRadar buys its teabags from Amazon in bulk) and is exactly the kind of major multinational retailer that makes life so hard for these independent business.